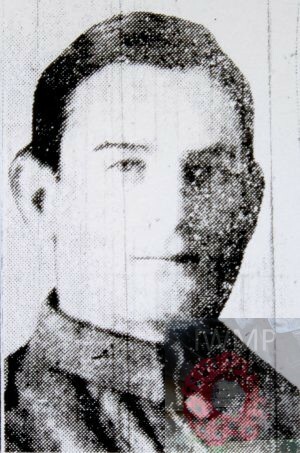 Died: 15th July 1916; age 20; KiA. Employed: Messrs. Wrinch & Son’s. 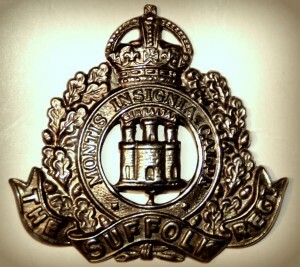 Regiment; Suffolk Regiment, ‘A’ Coy, 4th Battalion. Relatives Notified & Address: Son of James & H. Coman, of 17, Handford Road, Ipswich. 1901 4, Gipping Street, Ipswich. Percy was 5 years old and living with his parents & siblings. James Coman, 36, a Bricklayer’s Labourer, born Norwich, Norfolk. Harriet Coman (nee Potkins), 35, born Braintree, Essex. Selina Elizabeth Coman, 13, born Ipswich. Alice Minnie Coman, 10, born Ipswich. Bertie John Coman, 4, born Ipswich. Elizabeth Cecila Coman, 1, born Ipswich. 1911 17, Handford Road, Ipswich. Percy was 15 years old, a Factory Worker. He was living with his parents & siblings. James, 45, a General Labourer. Alice, 19, a Machinist at Laundry. James William Coman, 9, born Ipswich. Soldiers’ Effects to Harriet Coman – mother. Percy is also remembered on the war memorial at St. Peter’s Church, Ipswich. The battle of the Bazentin Ridge and the attack on High Wood. While the 4th Battalion was moving through Becordel to the position between Fricourt and Mametz where they bivouacked during the night of July 14th-15th, the battle of the Bazentin Ridge was raging in all its fury. They were not destined, however, to remain long thus upon the fringe of the hostilities, and at dawn went out under the command of Major H.C.Copeman D.S.O on support the 1st Middlesex Regiment in an attack on Switch trench. After severe fighting, a line immediately in front of the Village of Bazentin-le-Petit was taken up and held for the remainder of the day. The casualties in the battalion, exceeding two hundred. This is the highest death rate of the war for Ipswich. 17 men.